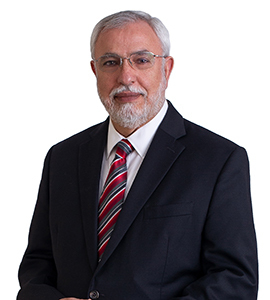 Dr. Mahafzah has a special interest in new and innovative modalities for cancer treatment. He has extensive research and teaching experience and published several papers and presented numerous abstracts on molecular endocrinology, platelet aggregation, red cell deformability/flexibility, interferon research, septicemia, differentiation and gene therapy. He won several awards and honors in clinical and basic medical sciences research. Dr. Mahafzah has more than twenty years in treating all types of Adult malignancy with special interest in Breast, Head and Neck, Lung, GI and GU Malignancy as well as Benign and Malignant Hematological diseases. Dr. Mahafzah is also interested in integrative therapy in which complementary and alternative medicine is utilized in conjunction with standard cancer treatment.